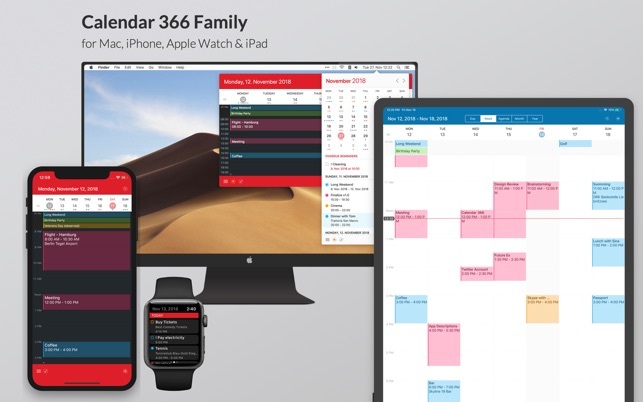 Calendar 366 II is fully localized in English, German, Spanish, French, Japanese, Italien, Polish and Chinese. 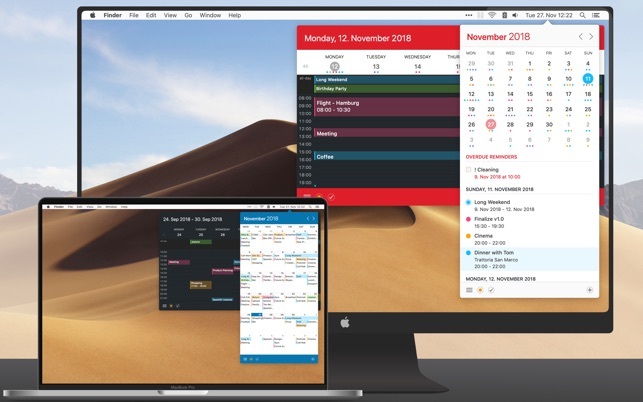 Calendar 366 II for Mac is a nice menubar calendar that works well and is priced lower than some other apps. 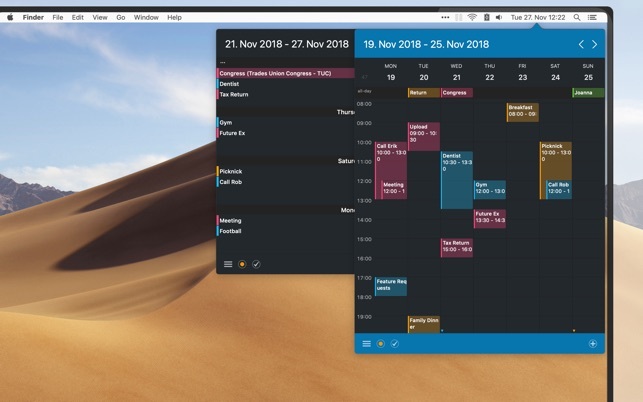 The calendar layout is straightforward and includes helpful color-coded lines for events and reminders. 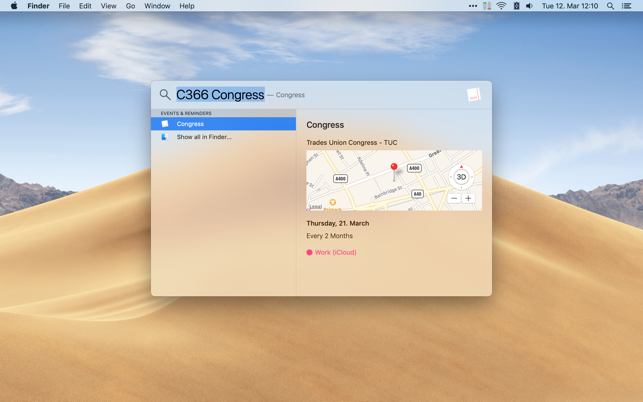 There’s multiple view options, and the natural language event entry works well, too. 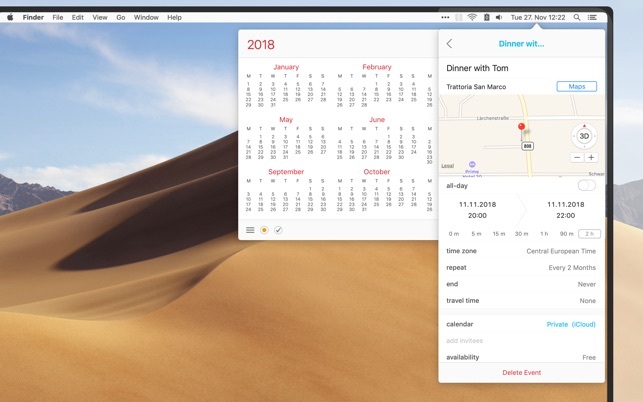 One negative is when you open the calendar, the day/date labels flash with a blurry animation. It becomes quite anoying, and it seems the developer does not care to fix it. Current feature wishlist: 1) add drag and drop to move events around the calendar, 2) a toggle for adding reminders when bringing up the event entry - current toggle is separated from the entry process, would be nice if it was available when already adding an event/reminder. 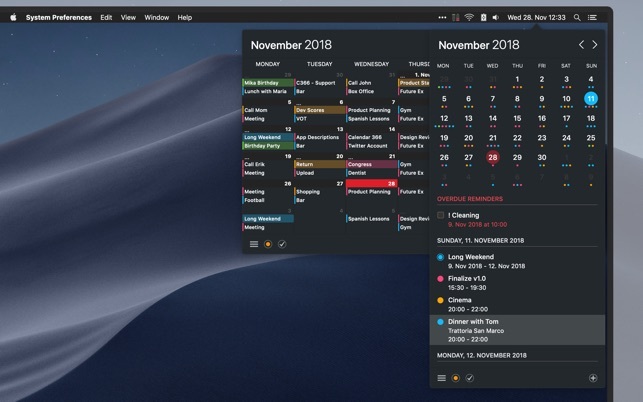 This calendar app is the cleanest and quickestt available. If you liked the early version(s) of Fantastical, this is for you. In this version they add more views and a cleaner interface, and yet retain the simplicty and speed. I SO WISH I could also use this on my Windows PCs in a simlar fashion - it just works quick and easy. Natural language input, varied views, quick setup, etc. So good! This was working great until a couple days ago, and now whenever I click on the menu bar, it crashes out. Sent in the details. Hope this is resolved soon. UPDATE: Still crashing. Have tried everything. Deleting preferences. What did I pay for? Having buyer remorse. This issue (Mojave) was fixed in v2.3.8!